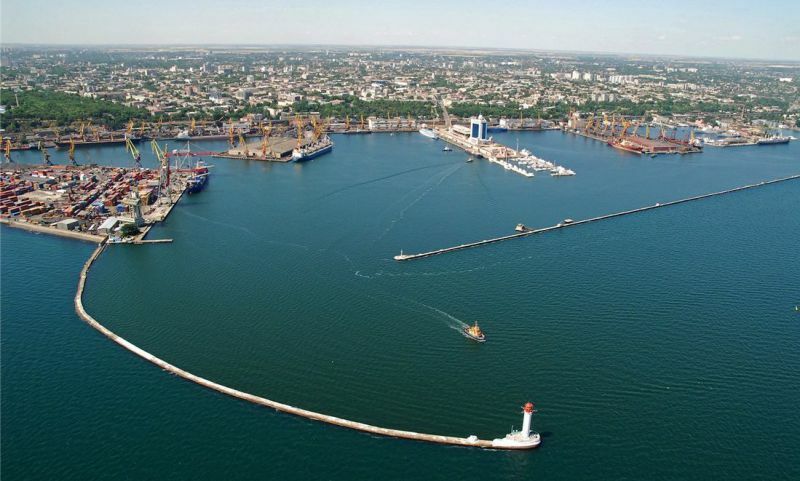 Odessa - one of the three largest cities of Ukraine. Located in the Gulf of Odessa on the Black Sea. Hero City. Odessa recognized as one of the most popular resorts in the country. Ukrainian naval base. Also, there is a large sea port, industrial, scientific and cultural center. Odessa - the administrative center of Odessa region, whose territory is home to over 1.2 million. Most of the population of Ukrainian nationality, followed by the Russian national composition, a small percentage of Jews and Bulgarians. Telephone number of city information - 109. Phone toll-clock help desk - 1561. Odessa first mentioned in 1794. The city was founded on the site of the Turkish-Tatar settlement Hadzhibey the initiative of Catherine II. When Governor-General of Novorossiysk Territory Richelieu Odessa became the administrative center of Novorossiysk governor-generalship. In just one century the city became one of the largest cargo ports Empire, second only to Moscow, St. Petersburg and Warsaw. In 1880 there was open so-called horse-railway. In 1891 Odessa was the first city in the Russian Empire, which was brought in a car - French "Benz". In the mid-20th century, the city acquired regional importance more and more popular as a tourist center. The current name is associated with the ancient Odessos settlement, which was located in the area centuries ago. In this area of Primorsky Boulevard were found the remains of the colonies. And nowadays occasionally find artifacts existence of ancient settlements. There is another, not officially recognized versions of the city name. According to legend, when addressed the issue of the lack of fresh water on the construction site, the Empress Catherine II exclaimed «assez d`eau!». This expression is read as "assedo" in French means "enough water". If you read it on the contrary, comes the modern name of the city. 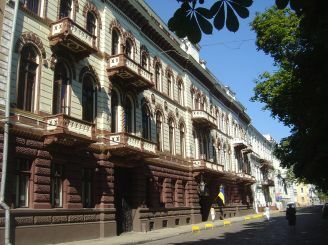 Odessa has a great architectural heritage. Here you can see many buildings of 19-20 centuries in neo-classical style, modern, constructivism, postmodernism. Multinational population left its mark on the architecture of the city. Shows the influence of Byzantine and Greek styles. In planning and facades of houses can recognize elements of Italian, French and even the Armenian decor. Potemkin Stairs. Climbing up 192 steps, you will find yourself on the Promenade, along which there are many beautiful architectural ensembles. 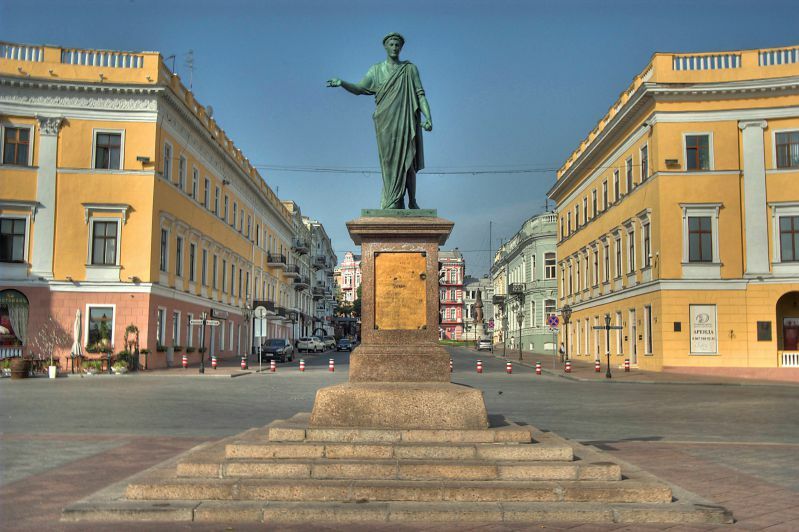 The City Council and the monument to Alexander Pushkin. Teschin bridge - pedestrian bridge in Odessa, known for its huge scale. He connects with Zhvaneckogo Boulevard Promenade. Deribasovskaya Street - one of the main central streets of Odessa and its most significant attraction.You can also stroll through the Greek area, bordering on Deribasovskaya. 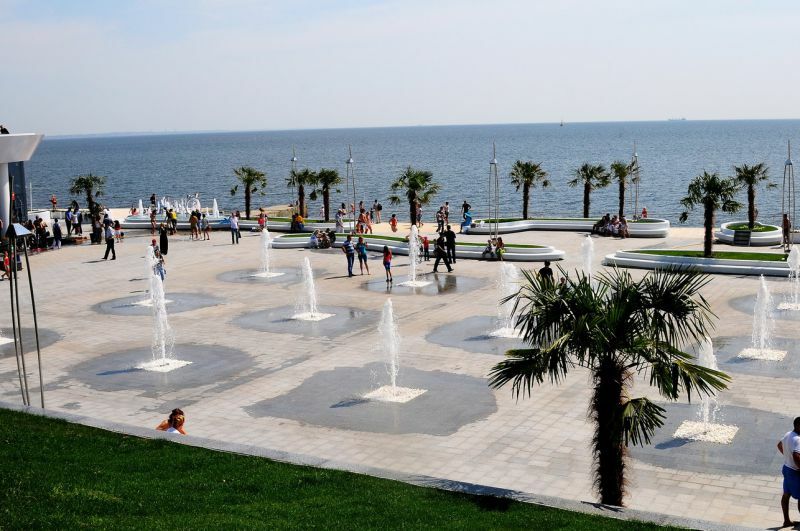 This is just a brief list of the most popular holiday destinations of Odessa and tourists. 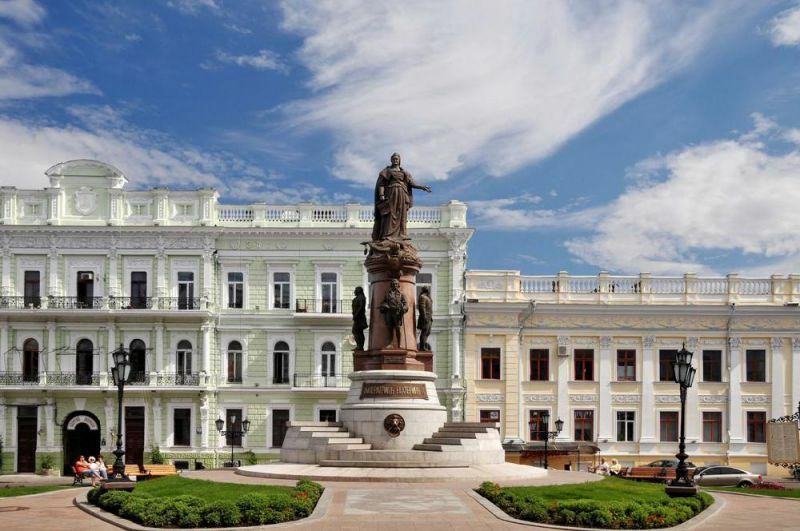 The historic center of Odessa, including Primorsky Boulevard, Potemkin stairs and square Duc de Richelieu, made ​​tentative list of World Heritage Sites. The oldest - Archaeological Museum, opened in 1825. Historical Museum also attracts many visitors. 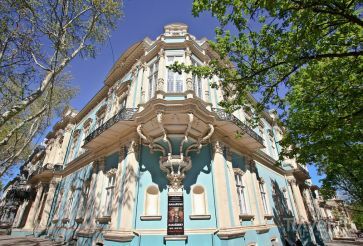 A must is to visit Odessa Museum of Western and Oriental Art - one of the largest and richest art museums in Ukraine. 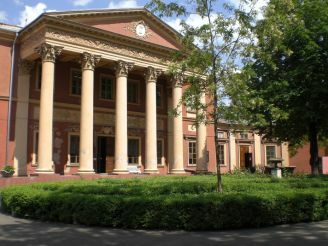 In Odessa Art Museum features over 10,000 artworks. Its exhibition halls are Naryshkin-Potocki Palace. A place of honor in the culture belongs to Odessa Odessa Opera and Ballet Theater, a building which is a unique architectural monument. Caledonia is home to the famous film studio Dovzhenko. 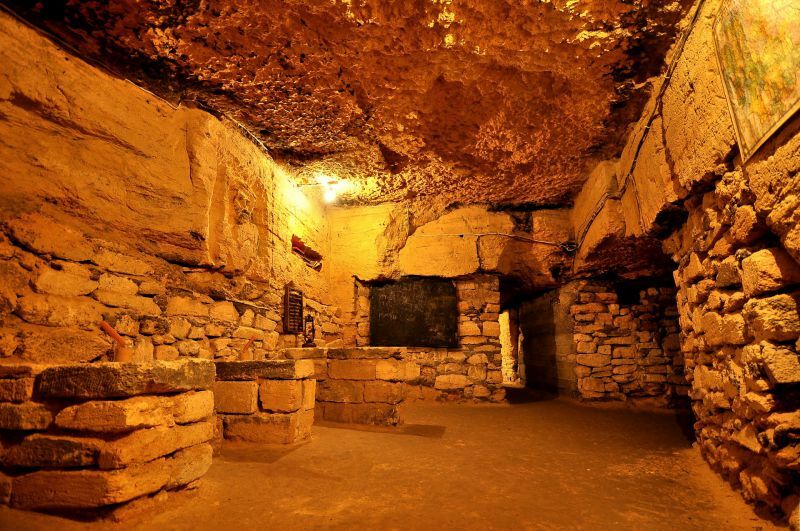 Odessa catacombs - extremely interesting excursion sites. The catacombs are unique in that there is a huge underground maze, the largest in the world. The total length of all strokes - about 2,500 kilometers. In the amusement park named after Taras Shevchenko, among other attractions, is a monument to the Unknown Sailor. At Cathedral Square holds regular exhibitions of paintings by local artists. Odessa Zoo will also need to list the places required to visit! It is worth mentioning Market "Vanguard", better known under the name of industrial clothing market "7-th km" - the largest shopping mall in Europe, is also in Odessa. Photo Source: panoramio.com, author: IPAAT. Odessa - a city of laughter! Annually held here on April 1 "Humor" - a festival of humor and satire. No less interesting and important feast day is the city of Odessa. This holiday is celebrated in Odessa early autumn weekend in early September. Traditionally, the day the city held a big concert on the Potemkin stairs. Beach "Luzanovka" that in the name of Kotovsky residential area. Beaches along the Trails of health - the pedestrian zone, closed to vehicular traffic. Beach "Langeron", near which opened the largest dolphinarium in Ukraine, as well as popular Oceanarium "Nemo." "Joy" on the street Pyrohivskiy. And, of course, "Arcadia" - the card of the resort of Odessa. From Dniester along the Black Sea coast are many climatic and balneology mud cure resorts. To treat here using silt mud, brine of estuaries and mineral baths. The city has an international airport. Shuttle connects Odessa with Vienna, Tel Aviv and Istanbul, Athens, Prague, Aleppo, Tbilisi, Moscow, Kyiv and other countries and major cities in Europe and Asia. From the railway station of Odessa passenger trains run regularly to Moscow, Prague, St. Petersburg, Warsaw, Berlin, major cities in Ukraine and CIS. Get the information you can call: 1505, 1583, 727-29-13. In Odessa, there are two bus stations - and brought Central and South bus station. Bus service connects with the city gem by the sea Ukraine and major cities of Moldova, Russia, Germany, Greece, Bulgaria and other European countries. Odessa itself is served by bus, tram, trolleybus and bus. The city also operate cable car and funicular. Passenger shipping is done only for cruise flights and cruises. Odessa hotels offer a range of services and different prices. Find shelter or stay overnight in Odessa will be no problem. The main question in tariffs that are directly dependent on the location of the hotel, hostel or apartments. In warmer months, accommodation prices are much higher than in other periods. From 230 to 290 USD per night is staying in a 2-bed room in hotel "Star" and "Tokyo Star". 350 UAH can cost double in "Terra 7+" as well as the hotel "Atrium". Cost of 2-bed room in hotel "de Richelieu" in the range of 300 to 500 UAH per day. 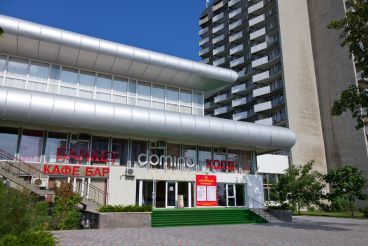 Approximately 400 to 950 UAH price stay in a 2-bed room hotel "Central" and "Passage". 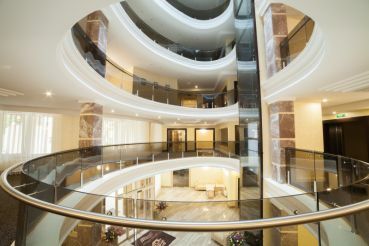 Among luxury hotels Odessa is to provide "London", "Bristol" and "Mozart". In the four-star "Arcadia Plaza" 2-bed room can cost from 2280 to 5500 USD per day. In the five-star "Nemo" price "standard" range from 3,600 to 4,700 USD, and "luxury" - from 5600 to 6900 USD per day. 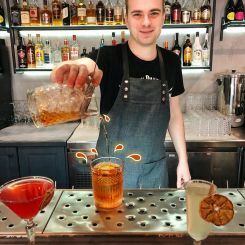 Cost in normal Odessa hostel range from 80 USD per night, 500 USD worth of 7-day stay.Most hostels are located in the central part of the city or the sea. The apartments can be rented for diverse price, which can range from 150 to 3,500 UAH per day. Odessa - the most hospitable city that gladly offers its guests an incredibly interesting places and events in memory leaving vivid memories and desire to come back again! У центрі Одеси, біля Потьомкінських сходів, 2 вересня, в День міста, відкриється Грецький парк. Точніше, перша з трьох його зон під назвою «Музей під відкритим небом». У парку будуть прогулянкові тераси, екодоріжки, скульптури в грецькому стилі, лавки, пандуси. В Одесі, в провулку Леоніда Утьосова, 11, у дворі, де розташований музей-квартира легендарного співака, тепер є невеликий оригінальний пам'ятник «Одеській бабусі». Це літня жінка в оточенні голубів. Прообразом для скульптури стала місцева жителька, яка жила в цьому дворі і часто годувала голубів. возможны другие дни выезда (по согласованию)Гарантированный еженедельный тур в Одессу от 2 человек! Vip-отдых в Затоке 2019! Акция раннего бронирования! Отельный комплекс «Эдем» – не обычный отель в Затоке, это многофункциональная структура, включающая в себя гостиничные услуги, системы оздоровления, питания, рекреации и развлечений!